Once again, LexisNexis is providing new, innovative products to enhance the legal research experience. With the growing popularity of tablet devices and electronic book readers amongst legal professionals, LexisNexis is introducing 32 select titles available as eBooks. The addition of eBooks allows LexisNexis to meet the changing needs of legal professionals by providing access to critical legal texts from anywhere at any time, whether you’re flying on a plane, sitting in court or just standing in line. With LexisNexis eBooks, your legal library is portable and accessible 24/7! Anytime, Anywhere Access Wherever you are you can access your own portable library at the touch of a button. Compatibility Their eBooks are available across multiple platforms meaning they can be accessed through a broad range of devices, including tablets, smartphones and laptops. No Connection Restraints Once downloaded, all eBooks are stored on your device offline, so you don’t need to worry about whether or not you have internet access. Practical Functionality Easy to navigate, eBooks look and act much like our printed publications with added benefits that enable you to annotate, highlight, add bookmarks and search. Authoritative Content Enhance your library with eBook publications you know and trust. Environmentally Friendly As well as being compact and convenient, eBooks also offer a paperless option for today’s modern eco-conscious office. LexisNexis eBooks are available in ePub format, making them easy to read on your Apple iPad® or iPhone®, Samsung Galaxy Tab® and a range of other mobile electronic devices. “We are proud to continue to evolve our electronic research solutions to keep pace with the ever changing technology landscape. We believe that the introduction of eBooks will help enhance the productivity of legal professionals by enabling more efficient access to key content via a range of mobile devices as well as providing offline access to downloaded publications, relieving users of the connection constraints associated with purely online solutions,” says Larsen Lockwood-Hall, Strategy & Business Development Executive. 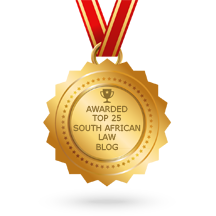 For more information and to view the current catalogue, visit www.lexisnexis.co.za/ebooks. Promotional discounts are being offered for purchases the end of August 2012, to take advantage of the launch offer, simply click the banner advertisement below.